Absolutely a masterpiece of fusion-- it just don't get more masterly than this. A poor mono rip has been circulating for some time that really didn't do it justice, so I had to purchase the record; please upgrade your copies to this new one. 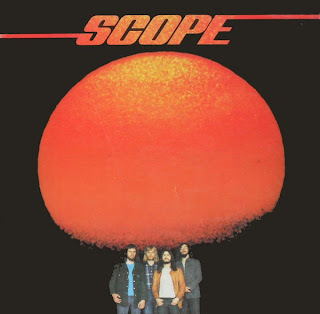 They of course did another album called Scope II but it wasn't quite as good as this powerhouse. I hope everyone reading knows this band already. Briefly what we have here is the best ideas from seminal fusionauts Mahavishnu and Soft Machine in a very listenable but inventive and interesting package without silly frills like overlong solos, like the Heavy Joker with Max Leth jun I posted a long time ago but much better. Of particular interest is the gorgeous Fender Rhodes, minimoog, and organ playing of Rik Elings, who composed most of the music. However the guitarist, Rens Nieuwland, is not exactly a shabby player in this outfit-- not at all! And to think this record is almost 40 years old now! Maybe someone can add some info about what those two went on to do after this band, I checked the discography of Rik Elings and was puzzled he didn't do more fusion composition in the seventies, considering how strong his ideas were. Thanks so much for the time and effort presenting this in Flac Tristan!! Thanks for the upload, Tristan By the way, could you please reupload the two Free Fair albums? Dear Tristan thanks a lot for this precious issue!! Is it possible that You post them in future? Damn...i missed the flac version. Would...you be..so kind...please?! My eternal gratitude. Aloha from Kauai, I missed on this. Would some kind soul possibly reup for me...mucho gracias..
them if you want you can post it...OK ? Any chance you can post again in FLAC? I missed it the first time around and I have been searching for this. Anything you can do would be super appreciated. Thanks! Hi there! Would anyone be able to re-up the link for Scope III? Many thanks! 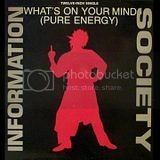 Re-Up for Scope III anybody?..........Please? !! !